Science’ hilariously exposed the tricks that quacks and journalists use to distort science, becoming a 400,000 copy bestseller. 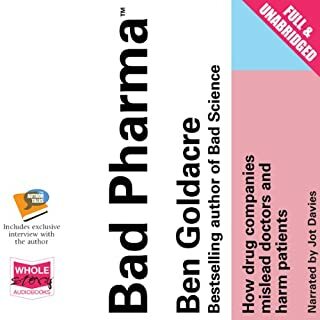 Now Ben Goldacre puts the $600bn global pharmaceutical industry under the microscope. What he reveals is a fascinating, terrifying mess. The Most Important US History book. 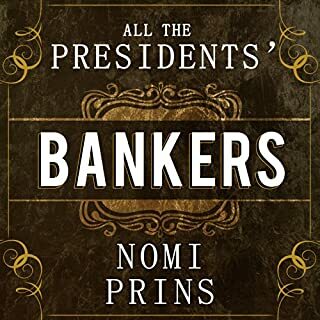 What did you love best about All the Presidents' Bankers? If you want to truly understand US History, from foreign policy to labor laws, the first place to start is the interactions between the power elite: Wall Street and the White House. Instead, the vast herds of sheeple rely on mainstream media and mainstream books. Corporate media and corporate publishers will only teach you the political theater, where voters are spectators swallowed up by pre-defined "choices" that have zero impact on the fundamental Economic Politics/Power Structures. Matt Taibbi - "Griftopia", "The Divide"... these are great introductions to Wall Street scams and inequality. Very easy and fun read for those that find nonfiction challenging! 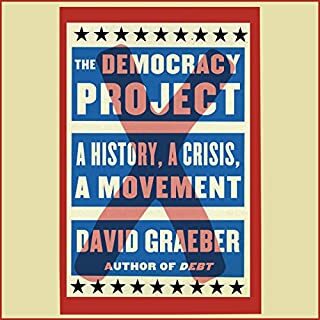 David Graeber - "The Democracy Project", "Debt: The First 1000 Years"... Graeber elegantly combines history/anthropology with Economic Politics and philosophy. Chris Hedges - "Death of the Liberal Class"... amazing war correspondent who starts to escape the political theater and examine Economic Politics/Power Structures. Michael Hudson - probably the best Economist research professor, wrote the classic "Super Imperialism" in 1972. Michael Perelman - "The Invention of Capitalism"
Ferdinand Lundberg - legendary journalist who wrote "America's Sixty Families" in 1937. George Orwell - "Homage to Catalonia"... amazing piece of history, showing how all the status quo power structures (Capitalist Allies, Soviet Communism, and Fascism) were all against the workers revolt in the Spanish Civil War. There really isn't a Left or Right fundamentally: the divide is between Vertical Power Structures (Capitalism, Soviet Communism, Fascism) and Horizontal Power Structures (Democratic Socialism, Anarcho-Syndicalism). Charles R. Geisst - "Wall Street: A History" - comprehensive analysis on the pinnacle of Capitalism: Wall Street. It must be a symptom of a sick society when amazing critiques like this remain unread while the working class drowns itself in vapid entertainment, unaware or uncaring of fellow working class families in other countries being oppressed, or the destruction of the planet that we all share. We are better than this! Please keep free thinking alive. What did you love best about The Democracy Project? This is one of the handful of gems that make you think in profoundly-different ways. I heard excellent reviews of Mr. Graeber's book "Debt: the First 5000 Years", but I thought I'd like a more general book to start with and this was perfect. Explores our assumptions of "democracy", and how Corporate and Government bureaucracy are top-down hierarchies which are quite simply contrary to real democracy. I've often assumed "anarchism" was somehow extreme or unrealistic, but this book made a very compelling case for how horizontal decision-making is desirable and even practical, featuring numerous real-life examples along with common sense analogies. This book also tackles the morality of debt and the morality of work head-on, most relevant and fascinating! Only special books manage to shake one from one's stupor, or present clear explanations for those nagging ideas that were never understood. This is a lot to ask for, but this book delivers! Also recommended is Matt Taibbi's book "Griftopia"
On top of everything, this book is surprisingly uplifting. Revolutions and revolutionary ideas do indeed cascade into society and our collective consciousness, often seemingly against all odds. These book connected so many dots and opened up a new world of ideas and possibilities. For a non-fiction, that is the highest accolade. Gonzo journalism at its wildest! 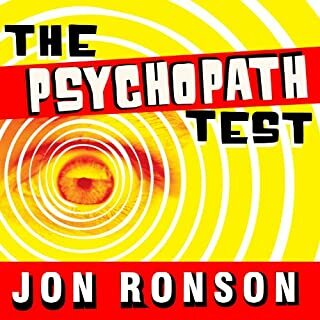 Jon Ronson narrating a Jon Ronson adventure is highly recommendable. Gonzo journalism at its wildest: crazy events with vivid detail about a fascinating topic. As always Mr. Ronson cleverly weaves informative background information into his twisting-and-turning narrative. So, you get some exposure to psychiatry and "psychopathy" during your wild ride down in the trenches of the madness industry. This is clearly not meant to be a textbook; concise systematic review is neglected as the author hurls you right into the action. But it is nonetheless insightful, and you will find the experience most enjoyable. Perfect, she got me right into the stories. Epic topic sure to stir up debate! What did you love best about The Better Angels of Our Nature? This is truly a colossal topic to tackle, even 800+ pages leaves many areas untouched. However, there are certain themes in this book that provide some insight or at least some grounds for debate regarding the historical trend of violence and human nature. Highly recommended to first read Pinker's "The Blank Slate", a truly excellent non-fiction that focuses more on human nature and ideologies. "How the Mind Works" is also excellent; it is more technical and more within Pinker's expertise. What was one of the most memorable moments of The Better Angels of Our Nature? This book sure did stir up some lively debates. I think it's important to first note that Pinker's book is about violence, not oppression/unfairness/"bad things", etc. So overall, I would agree that many forms of violence have been in decline, at least since the time when history was adequately-documented. However, I would suggest that the evolution of ideas is not completely synonymous with improving the human condition. Negative ideas also evolve. Thus, while primitive forms of oppression like race and gender slavery are in decline, other forms of oppression continue to evolve and become further entrenched in our society. Example: unaccountable multinational corporations that force laws to pass without democratic scrutiny using hordes of lobbyists/less-than-transparent political systems/public's apathy, and can manipulate scientific research/marketing/media. I've heard several dissident voices criticize the book's lack of interest in covering economic oppression. 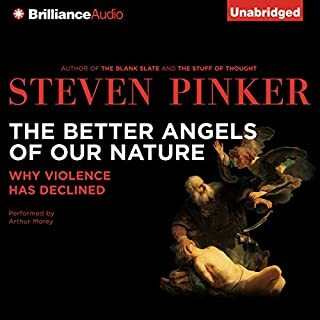 I do wish Pinker touched on this more, but I imagine he defined violence in the most strict form in order to keep the book's scope manageable. And sadly, if he did talk about economics I am sure he would open up a new can of worms, straying even further from his area of study and likely making this overall work less credible. While I found many of Pinker's arguments to be compelling, I felt he glossed over the section on future dangers, particularly nuclear proliferation and climate change. True, no nukes have been successfully dropped on a population since the end of WWII, but it takes much more than "oh, well, it hasn't happened yet" to argue that our control over the situation is anywhere close to acceptable. For example, John Oliver did a great commentary on USA's current nuclear weapons fiasco (search up "Last Week Tonight with John Oliver: Nuclear Weapons"), and the USA is supposed to be the most advanced nuclear weapons country in the world! I can appreciate what Pinker and Matt Ridley (The Rational Optimist) are trying to get across (i.e. how much human progress has achieved and given such obvious improvements we have to continue to encourage such progress), but anytime you tackle such a large & complex scope you run the risk of over-simplifying certain topics to make it better fit your overall arguments. Would you consider the audio edition of The Autobiography of Martin Luther King, Jr. to be better than the print version? MLK translates well in any format as each offers a different perspective. The first 2 audio speeches were not very clear, so it's recommended to do a quick search for the speeches online and read along with the audio. It's an important piece of history, and many of the subjects covered are still very relevant. Non-violent progress is a fundamental human struggle. If there's every an autobiography worth reading, this would be one of them. Have you listened to any of Levar Burton’s other performances before? How does this one compare? I actually really enjoyed the narration, clear and easy pace. "Even the most starless midnight may herald the dawn of some great fulfillment." 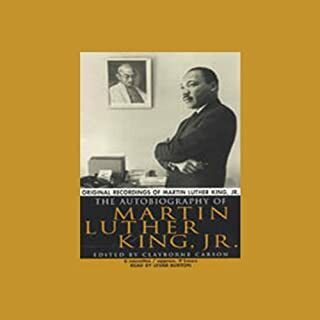 This autobiography is so large in scope that it serves as a great introductory overview of MLK and his times, with audio excerpts of his speeches. I was more interested in digging deeper into some of his beliefs and tactics, which needs to be found elsewhere, a 9-hour autobiography is limited. Despite being an autobiography, this was pieced together after MLK's death so it does do a good job covering his ideas and speeches. Now, how about an unabridged audio version of Malcolm X's autobiography? What made the experience of listening to American Psychosis the most enjoyable? 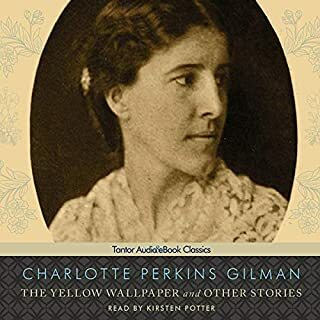 This audiobook starts pretty slow, but the historical preamble sets the stage for the more-concise facts that start pouring in during the 2nd half. The topic of mental health, de-institutionalization, lack of accountability, and for-profit "solutions" are highly relevant. Just walk in the city and you'll encounter the consequences when you pass the homeless people muttering to themselves. And that's only the portion that are not incarcerated or in for-profit nursing homes (which should be used for the elderly). Honestly took me a while to get used to, but the story makes up for it. If you could give American Psychosis a new subtitle, what would it be? When making public policy, use science/research/evidence over ideology. 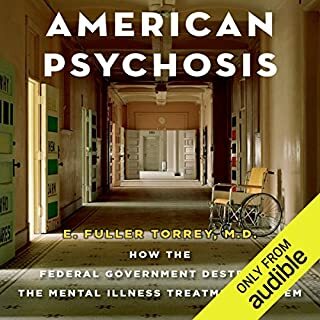 In this book, the shutting down of State mental hospitals was based on ideology around society and mental health that sounded good but parts of it were simply not backed by scientific evidence (which admittedly was sparse during that time since psychiatry was still in its infancy). The movement had no chance of evolving during the Nixon/Reagen era: they not only supported privatization, they were hostile to psychiatry! Where does Cypherpunks rank among all the audiobooks you’ve listened to so far? 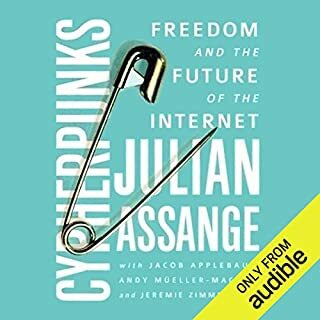 Powerful topic and unique format (the book is mostly discussions between Julian Assange & three other hacktivists, and I found the format refreshing and easy-to-follow). Definitely recommended. A perfect precursor to this book would be "This Machine Kills Secrets", which provides a great overview of the backbone historical details of modern encryption, all in an easy-to-understand and open-minded narrative. From Africa to Asia and Latin America, the era of climate wars has begun. Extreme weather is breeding banditry, humanitarian crisis, and state failure. 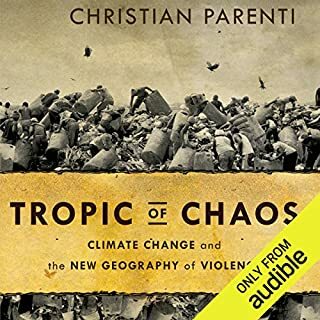 In Tropic of Chaos, investigative journalist Christian Parenti travels along the front lines of this gathering catastrophe - the belt of economically and politically battered postcolonial nations and war zones girding the planet's mid-latitudes. Here he finds failed states amid climatic disasters.